Just got my first Ric ever! It's 325 ser:07 35535 so this will date it 2007? Right?? and then some monogram H S maybe??? Also there is some monogram on body maybe J S ??? and it's marked real gold?? Are these added afterwords by pre owner ? Welcome to the forum. These items were added by a prior owner. Enjoy the guitar!! 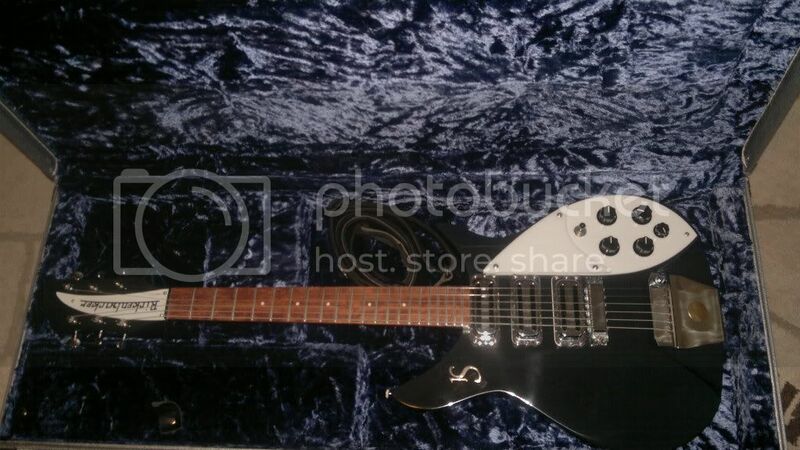 There is badge on the tailpiece which says ORIGINAL 325 RICKENBACKER 1992 and then some monogram H S maybe??? Your 325 did not leave the RIC factory with the additions you have mentioned (as posted above they were made by a previous owner) however your 325 did leave the factory with a Vibrato arm which is not in the photograph. Yes I have the arm. I'm wonder what that 1992 is?? Is this guitar like that 64 model? Do they still made these? Model 325C64, the replica of a '64 Rick 325, is still being manufactured as part of the C Series. 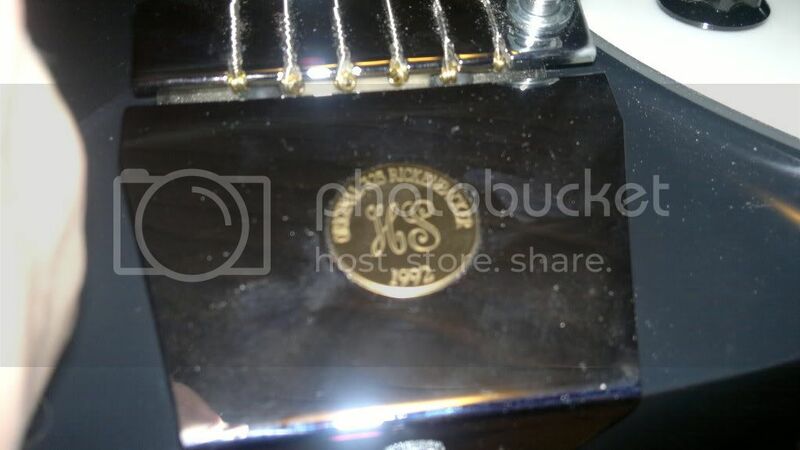 The serial number (07 35535) provided by peteS indicates the guitar was manufactured in 2007 when Rickenbacker was making the 325C64 models.